It is with deep sadness that we announce George’s passing at the University Hospital on March 27, 2017. George had been dealing with lung complications. He was 76 years old. 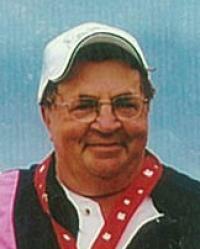 George will be dearly missed by his family, friends and many lawn bowling and bowling buddies. He was predeceased by his parents, Minnie and Pete Shillabeer; brother, John; and sisters, Nell and Dolly. George will be remembered as a very compassionate man who went out of his way to help and care for others. You will always be in our hearts! At the request of George, no service will take place. Memorial donations in memory of George may be made to the Alberta Cancer Foundation - Cross Cancer Institute, 11560 University Avenue, Edmonton, T6G 1Z2 or to The Lung Association, Alberta & NWT, P.O. Box 4500, Station South, Edmonton, T6E 6K2.